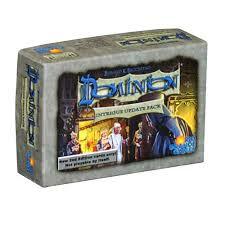 changes to their popular deck-building game, Dominion as well as Dominion Intrigue. 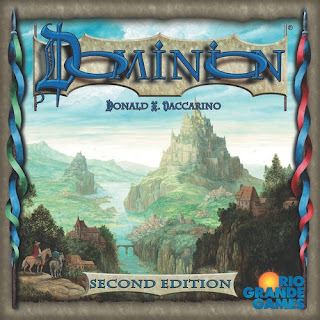 With the same game mechanics and no rule changes, both new Dominion and Intrigue 2nd Editions have upgraded graphics, larger print, and some clarification on the cards. Additionally, in each game 6 kingdom cards have removed and 7 new kingdom cards have been added. 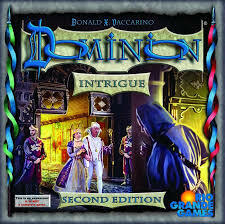 The most significant change is that Dominion Intrigue 2nd Edition is no longer a stand-alone game. 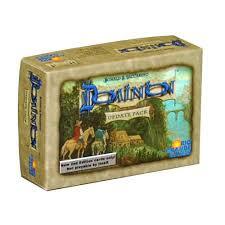 It is an expansion without base cards. 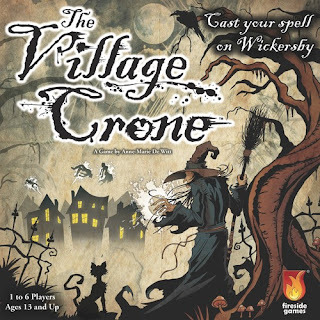 Become a Witch and enter the medieval world of Wickersby in The Village Crone, a worker placement, resource management game with spell casting. Make villagers fall in Love, turn them into Frogs, or teleport them to different locations. Wickersby is built from 6 modular boards, with different locations holding the ingredients flour, fire, silver, and soil. Send your familiars out to harvest these ingredients and use them to cast spells in order to complete Witch’s Scheme cards. Every scheme you complete brings you closer to the 13 points needed to win and be declared The Village Crone. We are having a Splash event for The Village Crone on Saturday, October 29th from noon to 5 pm. 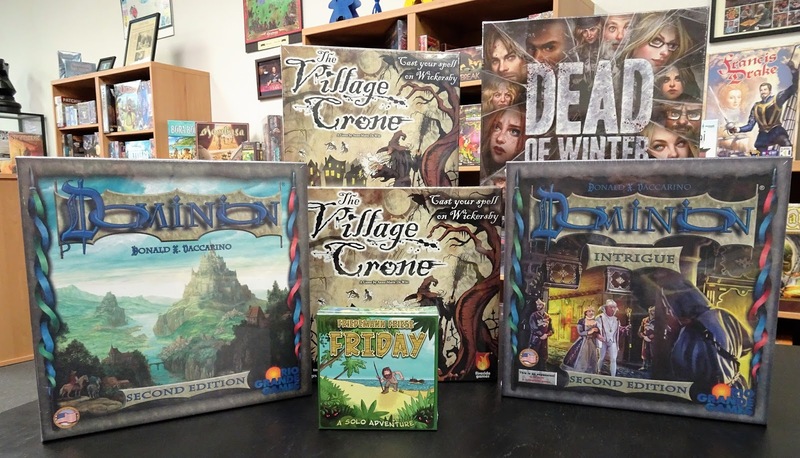 Envoy Rep, Mike will be here to demo and lead game play for those who would like to try it out. Come ~ See ~ Play! 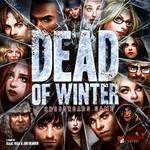 Dead Of Winter: A Crossroads Game is a cooperative game with a betrayal element. This is a story-centric game about surviving through a harsh winter in an apocalyptic world. Players make frequent, difficult, heavily-thematic, wildly-varying decisions, that often have them deciding between what is best for the colony and what is best for themselves. 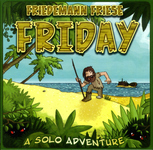 Friday is a solo adventure deck-building game. In this game, Robinson is represented as a card stack of different behaviors. You are forced to improve this card stack, so you can collect the cards at the end of the game to give Robinson the best chance to win against the tough pirates and the island hazards allowing him to escape.